Tag Archive | "otc medications"
Tests have helped confirm that the chemicals used to remove oil from the BP spill have not yet reached the fish, shrimp, crabs or oysters at the Gulf of Mexico, according to the U.S. officials on Friday. The officials from the Food and Drug Administration, as well as the National Oceanic and Atmospheric Administration said that the tests have been made in more than 1,700 samples and results show that lesser than 1 percent of the samples had any trace of the chemicals used, and the ones that did had very low levels. Dr. Vicky Seyfert-Margolis, FDA’s senior adviser in the field of science and innovation informed that the second round of testing confirmed that the Gulf seafood brought in the market is safe for human consumption. 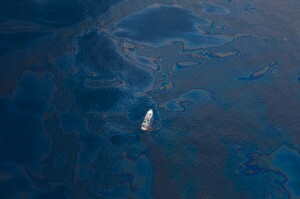 The BP spill occurred when the Deepwater Horizon oil drilling rig exploded on April 11. This incident killed 11 workers and spilled about 4.9 million barrels, which is equivalent to 185 million gallons of crude oil. Sensory testing was once done by trained experts to determine the sign of chemical contamination in the seafood. The recent chemical test was done to back-up the sensory testing as informed by Dr. John Stein, NOAA’s seafood safety program director. The chemical test looks for DOSS or Dioctyl sodium sulfosuccinate, which is the main compound found in the dispersant chemical utilized to separate the spilled oil. This is also used in a variety of household products and OTC medications at extremely low levels. The results of the test confirm the result of the sensory testing and that the seafood samples pose no threat on humans.